At least 75% of all Americans wear some form of corrective lenses. Depending on personal preference and on doctor prescriptions, most of these people wear glasses while others wear contact lenses. I’m personally one of the latter and I’ve been wearing contact lenses since I was fourteen. It was tricky at first, but once I got used to the weird sensation of having to practically poke my eye every morning to put them in, having contact lenses made my life a whole lot easier. I still keep a backup pair of glasses though and, thanks to a recent eye infection, I had to wear them around for several weeks. I’d forgotten what it was really like to have to wear them all the time and the experience reminded me of all the things I’d taken for granted about contact lenses. 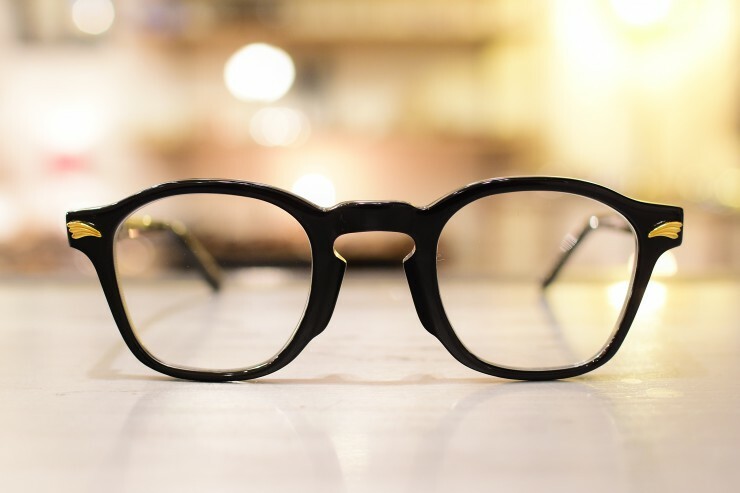 While people in need of corrective lenses may differ on personal preferences, nearly all glasses-wearers, or really anyone who’s worn glasses at some point in their lives, go through some of the same struggles that non-glasses wearers do not. Here are five, just to name a few. We’ve all seen window panes fog up with condensation when someone breathes on them at some point in our lives. Wearing glasses basically means you’re walking around with two tiny windows in front of your eyes. And just like ordinary windows, they tend to fog up very easily. Having your glasses fog up whenever you’re opening a dishwasher or cooking something can quickly get annoying. Even contact lens-wearers are at a disadvantage when it comes to being in the water. Contact lenses aren’t made to swim in and glasses can easily get splashed or knocked off your face. There are goggles and strap kits that can be used to secure your glasses to your face, but this isn’t an option for everyone. For instance, I’m a lifeguard and not only are we not allowed to wear goggles while on duty, but we are also required to wear sunglasses, which typically makes wearing glasses in addition to them not an option. Though I’ve adjusted to it, needing corrective lenses still does make my job a little more complicated. I knew someone in elementary school who had two striped tan lines on the sides of her face from wearing glasses. Tan lines can be prevented by wearing proper sunscreen and avoiding too much sun exposure, but sometimes, exposure is unavoidable and if you’re not careful, you could end up with some unsightly tan lines from glasses. I particularly found it annoying to have to take off my glasses every time I wanted to put my hair in a ponytail because they would get in the way. Glasses can get in the way of many things throughout the day, such as when you’re trying to look into the eyepiece of a telescope or a pair of binoculars, putting on makeup, or even just laying on your side. Some do have to pay a higher price for sight than others do. And thanks to international monopolistic competition, one pair of glasses can cost around $250. It really is a privilege to be able to see without corrective lenses, a privilege that a lot of people take for granted. I myself am actually lucky that I can wear contact lenses because not everyone can wear them. For some people, glasses are their only option. Some people do like wearing them while others wear them because they have no choice. Regardless, you’re still paying for something others get for free. That’s just how the world works sometimes, though that doesn’t make it any less annoying, in my opinion.